One of the great events of the agency year is the Agents Giving Ball, hosted a few days ago at The Lancaster Hotel, celebrating over £1m raised for charities across the country. We cover that event below, but also doff our caps to individuals and agency branches who tirelessly help those who need a lift. 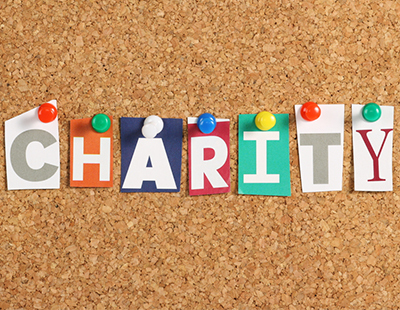 If you want publicity for your fundraising, let us know on press@estateagenttoday.co.uk and we will do the rest. Agents Giving Ball: Agents Giving’s fundraising champions include Bassets Estate Agents winning in the Best Team or Company Fundraising for raising a total of £25,000 for The Trussell Trust, The Salisbury Trust, Splash Wiltshire and Alabare. Kathryn Hunter of Hawkmoth Estate Agents took the award in the Best Individual Fundraising category for her support of a range of charities in Milton Keynes, including MIND, Cancer Research and the Oasis Project. Kathryn has also set up a charity to campaign against teenage self-harming. Thomas Morris Estate Agents were triumphant in the Best Innovative and Creative Fundraising category following their Orange Day. X1 Lettings took home the award for Special Fundraising following their ongoing support of their chosen cancer charities. Suppliers to the industry were also recognised and Ravensworth were successful in the Best Industry Supplier Fundraising category. The night also saw some of the industry’s biggest characters take to the floor in a Strictly Come Dancing dance off. Maxine Lester from Maxine Lester Residential Lettings took home the glitter ball after a dazzling Cha Cha Cha with her partner Connor McCabe. Agents Giving sends special thanks to the sponsor, Peach Software. Phil Spencer, patron of Agents Giving, says: “The ball was an opportunity for the industry to come together for a night of glamour, dancing and celebration. It was amazing to have the support of all our partners and supporters who made it such a wonderful celebration. 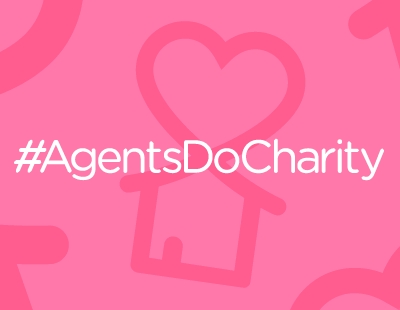 Agents Giving has helped to raise an impressive £1m so far, and it's all looking very exciting for the year ahead." MacMillan Cancer Support: Now excuse us blowing our own trumpet, but the team at Angels Media, the publisher of Estate Agent Today and Letting Agent Today, have raised £251.49 by organising a coffee morning in aid of this wonderful charity. It’s now a yearly tradition, and as ever the event was organised by sales and support manager Sharon Clark who co-ordinated everyone's efforts as well as providing some goodies herself. This year's tasty offering included homemade sausage rolls, millionaire’s shortbread, Nutella cookies and some luxurious truffles! butters john bee charities: All 17 of the agency’s branches have gone to their version of the Bake Off tent and produced vast numbers of cakes to entice the local communities to back the firm’s fund-raising efforts. As a group, the Bakers & Shakers raised a whopping £1,668.56, including some raised at the agency’s head office in Hanley, Stoke on Trent, with the assistance of staff from the local Boots store and from Berwick’s solicitors. “We all had lots of fun on the day and brought some sunshine to the high street” says business development manager Paul Lucas - who obviously forgot on this occasion to send a showstopper to the EAT team! St Paul’s School, Alwoodley, Leeds: The pupils have kicked off the new academic year in style thanks to agency Manning Stainton, which has sponsored football and netball kits for everyone in Year 6. 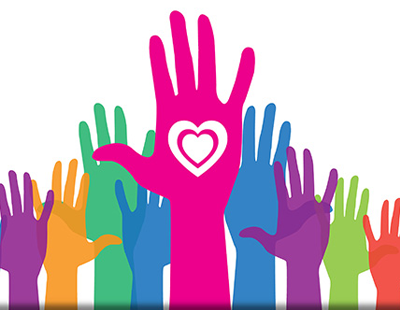 Manning Stainton already supports a number of schools and other worthwhile organisations through its Community Support Programme. MacMillan Coffee Morning: North London agency Paramount Properties hired a tuk-tuk, parking it across the road from our offices and giving out free coffee to passers-by on their way to work. Donation to Macmillan added up to over £200, plus a few people texting £5 to the number on collectiones. Cornwall MacMillan Christmas Fair: Well-known Cornish agency Lillicrap Chilcott is sponsring a very natty jute bag publicising the fair. Featuring a distinctive blue and cream, maritime inspired design, the bag has been especially designed for the 2016 Fair by Cornish homewares company, Cream Cornwall. The bag will be available at the Fair in return for a donation of £5 (£8 for two as a special fair offer). Macmillan Cancer Support: The Romans Group hosted several coffee mornings and raised a fantastic £500. Romans’ employees baked a variety of cakes, ranging from choccini muffins to lemon drizzle cupcakes. Money was raised across the company with cake sales taking place in Reading, Caversham, and the company’s head office in Wokingham.